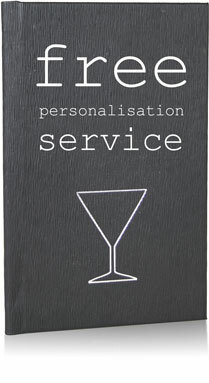 www.menu-covers.co.uk are a part of the Carrick group of companies who have been producing menu covers and all associated items in the uk since 1985 . Carrick supply the trade so you deal with a local distributor who can assist you with all the finer details on your potential purchase including artwork/print options, internal display methods and the beautiful materials available. 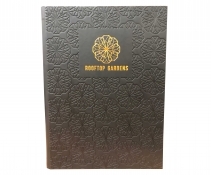 Menu-covers.co.uk have a full personalisation department offering: hot foil printing in Gold, Silver, Red, Green, Blue, Copper (all metallic finish) many other options available, blind embossing , and NEW full colour digitally printed covers at no extra cost.